One of the most attractive tourist destinations in southern Thailand – Krabi. To the West it borders on the Andaman Sea where countless natural attractions abound, including white, sandy beaches, facsinating coral reefs, numerous large and small islands, verdant forest and hightly interesting archaeological remains. 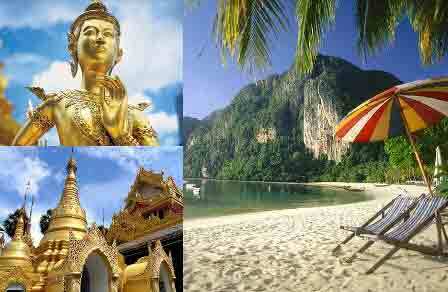 Travelling a leisurely drive to view the definitive highlights of Krabi. 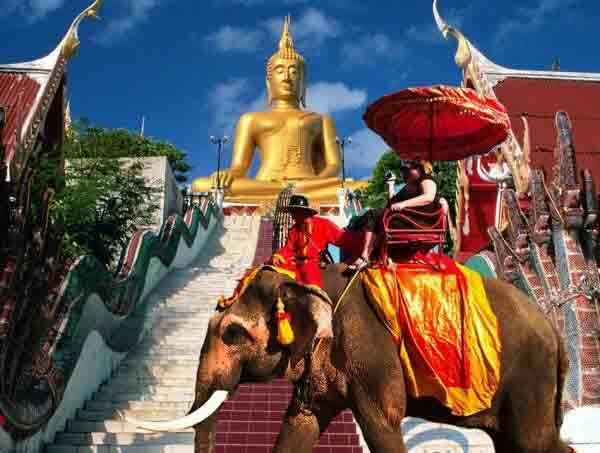 This guided sightseeing tour takes you to a lively morning market, landmark rocks known as Kanab Nam, Buddhist temple Wat Tum Seau and one of the natural wonders of the world, a large sized bed of fossil shells called Susaan Hoi. Explore different kind of tropical tree, birds and butterflies. On walk way you will see a fantastic forest lagoon for swimming, sunbathing and relax. Stop over at Klong Thom Temple to discover local people way of life. There is no better way to enjoy some of the most spectacular scenery Krabi Province has to offer than from the back of one of these gentle giants. The traditional long tail boat will take you out to explore some of the deserted tropical Islands in the Andaman Sea such as Poda Island Chicken Island, Taloo Island and Ao Phra Nang beach. The sunsets here are something not to be missed! Paddling through the mangrove swamps the first cave called Tham Lod which is a spectacular tunnel through limestone richly adorned with stalactites. The second cave is called Hua Kra Loak Cave. This is a big cave with many grottos in a mountain. Also of interest are many prehistoric coloured pictures of men, animals and various limbs and organs.